Melbourne is full of breathtaking wedding venues, and Lily Road books the best wedding entertainment and wedding singers at all of them! Let’s explore some of the premier wedding venues in Melbourne so that you can get a good idea about where you want your wedding to be. 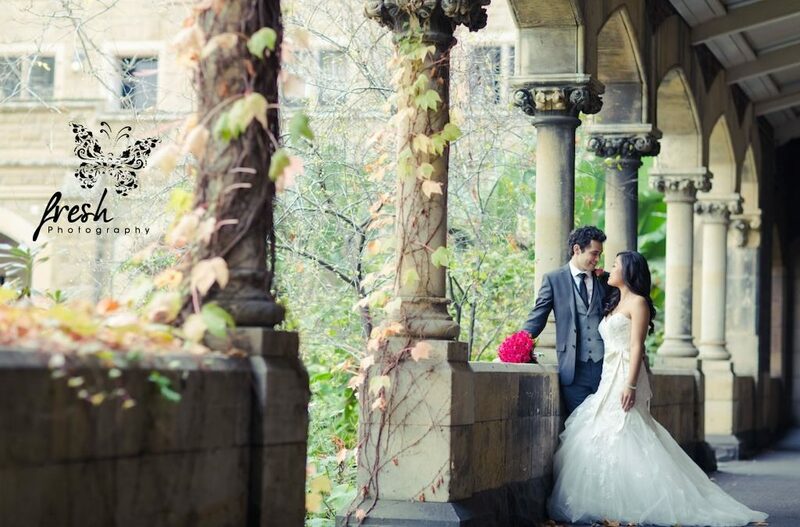 Here are the Top 10 Wedding Venues Melbourne! This venue seems to have come straight from a dream. If the picturesque chapel, elegant dining facilities, and the stunning pine, oak, and silver birch trees don’t absolutely knock you off your feet than the their stunning manicured gardens lit by over 30,000 lights will certainly steal your breath. This is a great wedding venue for night receptions. What could be more romantic than listing to your favorite songs, played by one of the best wedding bands while you dance with the love of your life amidst 30,000 lights? This wedding venue has an incredible reception area that beams sophistication and luxury. The excellent staff will ensure that you receive top-notch service and an unforgettable culinary experience, so that your wedding venue is as perfect as your wedding day. This is a truly classy venue. There are over three levels, a truly breathtaking stairway that is absolutely perfect for photographs, and a magical ballroom that is perfect for dining, wedding entertainment, and dancing the night away. The venue is also surrounded by magnificent gardens perfect for sneaking out to grab some fresh air and a beautiful scene. This wedding venue truly has it all. There are three breathtaking places to choose to have your ceremony including a 100 year-old chapel and a waterfall, there are over six acres of land with little paths winding through them offering the perfect spot for photographs, and there is a historic log cabin. This venue is situated right at the foothills of the Dandenong Ranges. This venue is as unique as the two people getting married. They offer complete customization. Whether you want a large wedding reception with a band and wedding singers or a small quiet affair Leonda by the Yarra excels at bringing your visions to life. This venue is also located in the Dandenong Ranges, and offers over ten-acres of land and gardens for a picturesque wedding reception. They offer guests a chapel and a gazebo a perfect place to set up a wedding band and dance beneath the stars. A stunning venue stretched over six acres of gardens the chapel, alfresco bar, gallery, and dining rooms are all linked by brick paths that wind through the magnificently landscaped garden. One of the best wedding venues for photographs. This breathtaking mansion on two acres of well-manicured gardens is a short distance from Melbourne’s CBD and the airport. The home has been carefully renovated and restored giving all of yester-years charms while maintaining today’s amenities. Another stunning mansion in Melbourne, Quat Quatta has been meticulously refurbished over time maintaining the classical feel and architecture that makes these wedding venues so desirable while also achieving a sophisticated modern ambiance. One of the best places to hear your special songs for weddings performed by your perfect wedding singer. The last wedding venue on our list is certainly not the least! This beautiful venue is carefully crafted and modeled after a country homestead. This beautiful place sits on three acres of truly stunning gardens and sits in the foothills of the Dandenong Ranges offering breathtaking views and stunning photo opportunities. What a better place to dance and listen to a great wedding band while surrounded by friends and family! Please contact Lily Road to book the right Melbourne wedding band for your big day!